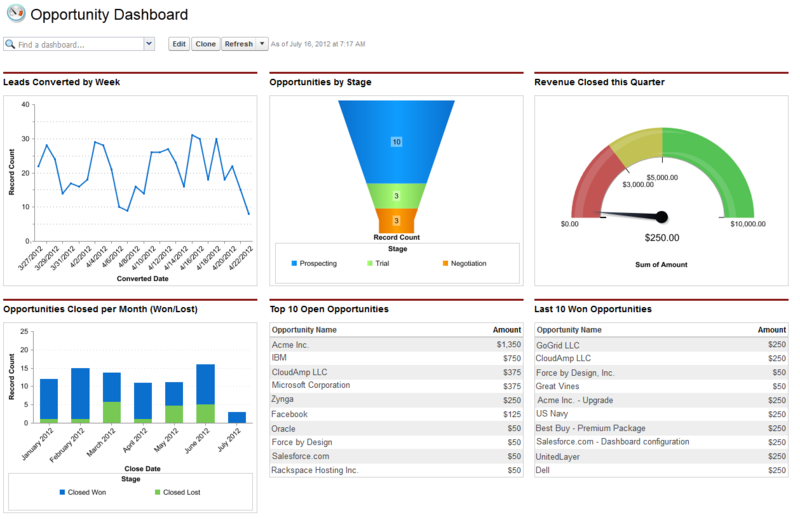 CloudAmp's Lead and Opportunity Dashboards are available for FREE download on the AppExchange. Because this is a free app, we don't provide support for the dashboards, although we are glad to answer general questions. If you would like to have CloudAmp customize your dashboards to fit your Company's data, optional consulting services are available. CloudAmp has developed our lead dashboard and opportunity dashboard over more than a decade of using Salesforce to run sales and marketing organizations. Salesforce dashboards let you see at a glance how your business is doing, and see trends on a daily basis as the dashboards automatically update with live data. 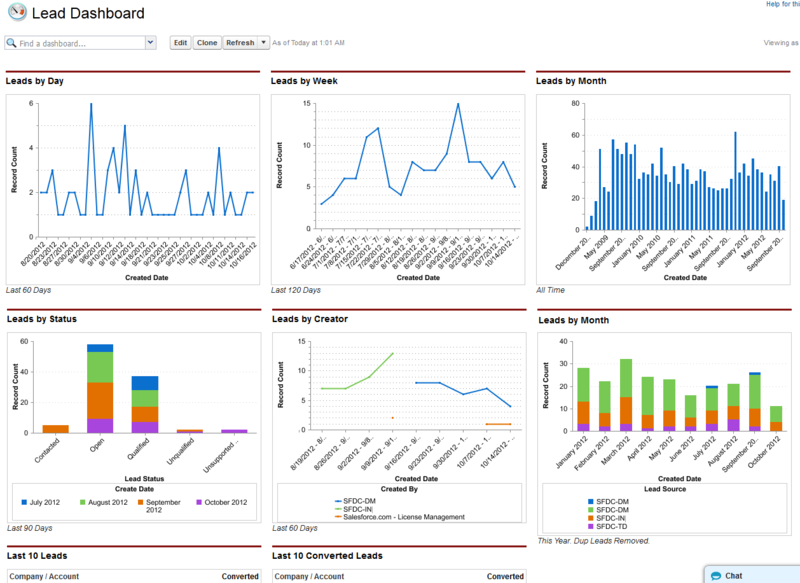 If you need assistance customizing the data in your dashboards, please Contact us for a consulting quote. If you want to break out leads / opportunities by record type, or by owner, creator, or more, we can fine-tune these Salesforce dashboards for you to give you better visibility into your leads and pipeline.